All transitions come with challenges. The challenge is change! My experience with change is that it is usually met with resistance. The change of a senior pastor is absolutely not an exception. 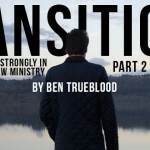 I have walked through this transition two times in my 12 years of being in student ministry. One was intentional, the other was not; both presented challenges. The challenges were very similar, but my perspective changed after the first round. Round two was not flawless, but it was significantly more pleasant. Wouldn’t our world, God’s Kingdom, and even our personal lives all be better off if our transition times were flourishing instead of floundering? Whether married or single, your position as student pastor is influenced and impacted by this change. If home isn’t a refuge, then that is unhealthy for the other areas, so let’s start here. Waiting vs. Intentionality: Pray! (This applies to all.) I imagine you are not shocked by this thought. Truth still is that there is not a spiritually solidified foundation that lacks prayer. We can’t just “see what happens.” Prayer cannot be just a good idea; it must be taken from your heart and past your lips to God’s listening ears (Psalm 116:2). Let the foundation of this time be lined with petitions to the One who knows how to care for you. Fear vs. Trust: Being honest in both times of my transition, I bounced back and forth between these. Fear is the old nature response to unknown outcomes. Trust is the new nature response of a convincing Lord. You and your family’s story is going to be better when you trust Jesus. He writes better stories than we do. This is true even if the transition you are in or about to be facing ends in your worst-case scenario. God uses strange situations for His glory and our good (Romans 8:28, Psalm 33:4). Why not enjoy the journey? You are in good hands. Be reminded of the importance of what you do. Some mistake the “student” part of our title to describe us rather than the role. Yet, you and I both know “student” really means ground zero. It is a privileged calling. 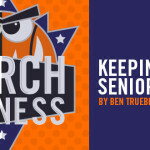 Waiting vs. Intentionality: Students’ relationship problems, addictions, family life struggles, emotions, and hormones do not take a sabbatical simply because a senior pastor retires or finds a larger church. Decisions for your ministry cannot be placed on hold. Purposefully plan any meeting(s) needed with other staff, elders, deacons, and committees so the flow of operations is not impacted. The student ministry needs a leader. You need to be that leader! Fear vs. Trust: I fear outcomes when I am not in control of them. Maybe that makes me a control freak, but it’s true for many things in my life. It boils down spiritually to a struggle of wanting to be the Holy Spirit. I get ideas that I think would work best. Then I live in frustration and fear when my expectations go unmet. Israel thought they wanted a King (1 Samuel 8). God warned them and then He actually granted their prayers. I love it when I actually do not have to touch the stovetop to believe if it is hot. Trusting God means I am going to have to believe He knows what He is doing without trying my way first. The student ministry is not mine or yours; it’s His. We must become comfortable with His sovereignty. That means that God is up to something bigger than us and He knows what He is doing. We know the church is a body. It is a whole made up of many parts (Romans 12:4-5). It is important that when a part of the body is in need that all parts of the body can spring into action and help. 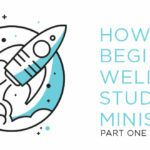 Waiting vs. Intentionality: How many times have you wanted to not be a pastor for just a minute when you heard the phrase, “Students are the church of tomorrow”? 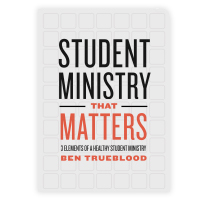 Students matter today and are the church of today as well. Now is a chance to redeem this misconception! This is something that needs to happen all the time, but this moment provides a great opportunity for two things. Allow students to be active as the church. Remind and encourage them to pray! Allow them the opportunity to be a part of the whole. 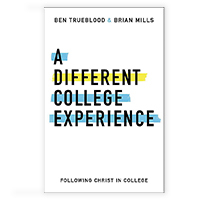 It will help redeem the mentality that students are just as much the church today as any other follower of Christ. Fear vs. Trust: Another part of our old nature is the feeling of isolation. It displayed itself quickly after the fall. When God came to be in unity with Adam and Eve he found them from their fear… hiding. They isolated themselves. That is who we once were and who will creep up if we allow it. The natural response is to hide in the student ministry world and isolate yourself from what the church needs to get figured out. I submit that you are a pastor that needs to involve the student ministry in this time. Leverage your influence. Trust that He has called you to be where you are right now during this time. You have a voice for your church, use it. If you are like me you think, “would they even listen?” The answer to that is not up to you. You are the voice for God: trust your calling. Judgment is on Him. 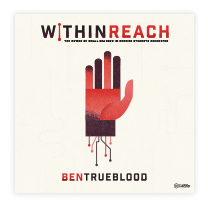 I hope you find yourself, the student ministry, and the church flourishing by leaning into trust and intentionality. I pray God’s clarity in what He wills for you in this time becomes your clarity. I pray you enjoy this time and experience God as the master of difficult situations.